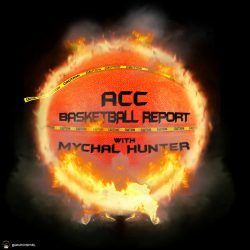 Today I talk about what we saw in the ACC Tournament. I talk about the ACC’s bubble teams: NC State and Clemson and does the ACC deserve a trio of #1 seeds? I also talk about the “latest” “scandal” to hit Georgia Tech and how the NCAA continues to be egregiously corrupt. Previous PostPrevious Fire Up the ACC Coaching Rumor Mill!